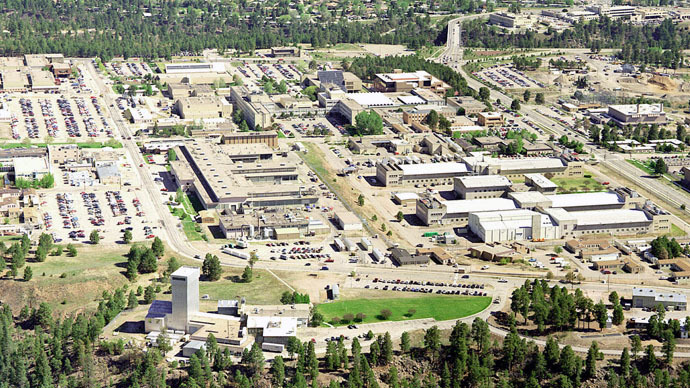 A former Los Alamos nuclear scientist caught in a sting operation was sentenced to five years in prison after pleading guilty to trying to help Venezuela develop nuclear weapons in exchange for "money and power." He also advised dropping a bomb over NYC. “I'm going to be the boss with money and power," Pedro Leonardo Mascheroni, a naturalized US citizen from Argentina, is heard telling his wife in a secret FBI recording released before the sentencing on Wednesday. Back in 2013, Mascheroni and his wife both pleaded guilty to helping Venezuela develop nuclear potential after dealings with an undercover FBI agent posing as a representative in Venezuela. Marjorie Roxby Mascheroni has already been sentenced to a year and a day in prison for conspiring with her husband. Before Mascheroni himself was sentenced to five years in prison and three years of supervised release on Wednesday, prosecutors played audio and video clips in the courtroom, in which Mascheroni was heard confessing to aiding the South American country. In one video from March 2008, Mascheroni told a US federal agent that he would help Venezuela develop 40 nuclear weapons to be completed in 10 years. “Nobody in the United States will know that I am using my brain helping the Venezuelan government,” Mascheroni said in one recording, promising that Venezuela would become a nuclear superpower. Between March 2008 and October 2009, Mascheroni was in communication with an undercover FBI agent, meeting him three times during that time period. The nuclear physicist approached a person he believed to be a Venezuelan representative after the US rejected his theories that a hydrogen-fluoride laser could produce nuclear energy. “I’m not an American anymore. This is it,” the upset scientist said in another recording, renouncing his allegiance to the United States. Shockingly enough, he also stated that could explode a bomb over New York City to destroy its electrical system, claiming it would not hurt anyone. This would allegedly prevent the United States from invading oil-rich Venezuela. In an interview with AP, Mascheroni denied the accusations and said the US government is wrongly targeting him as a spy after his ideas were rejected in the US and he tried to approach other nations with his concepts of cheaper, cleaner nuclear power.